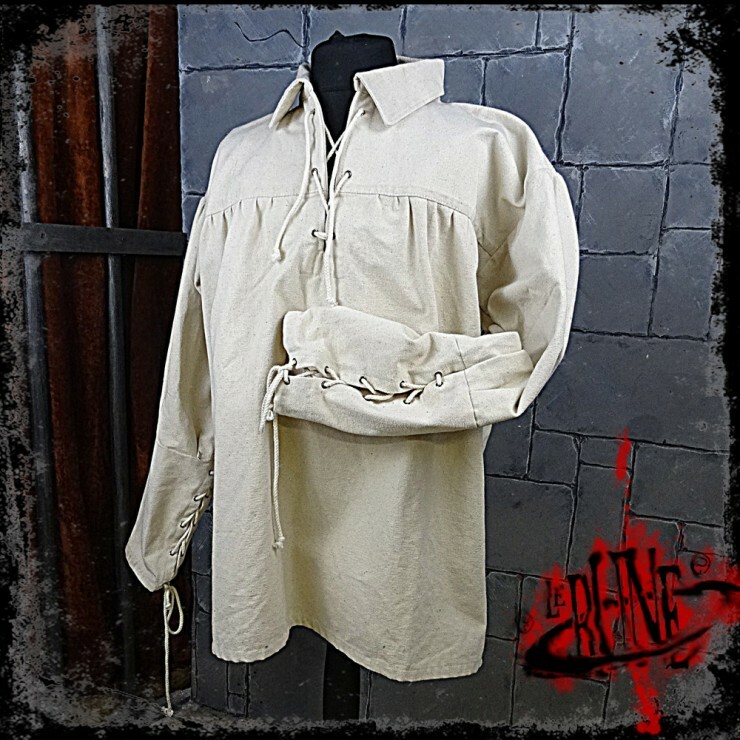 This shirt is produced in canvas cotton. The balloon sleeve closes right after the elbow, and the forearm portion closes with a string. The Leopold shirt is available in different sizes (S to XXXL) and colors.